Freelancers, contract workers, the self-employed, and individuals with more than one stream of income have often struggled to find a conventional mortgage. The same applies to those with a poor credit rating. So, when these two sets of financial circumstances collide, you would expect there to be little or no chance of finding self-employed mortgages with defaults or county court judgements (CCJs) on your record, or self-employed mortgages after completing a debt management plan or an IVA. However, there are still mortgage deals out there, it’s just a question of knowing where to look. That is why, if you are self-employed with a poor credit rating, it is more important than ever to seek the assistance of an advisor with experience in this market. They will understand which lenders will be prepared to accept the particular risks you present, and offer the best deal on a mortgage. As always, when choosing the right mortgage advisor for you, look for those that have access to the whole of the market and are not tied to any particular lender. This will help to ensure you find the best deal. Lenders’ attitudes towards self-employed mortgages with defaults or CCJs have become stricter over the years, but there are still pockets of the market that will consider your mortgage application. The requirements will vary from lender to lender; while some will require three years or certified accounts, other lenders will accept an accountant’s certificate as proof of income. The affordability of self-employed mortgages following an IVA or debt management plan will depend on your background, your credit history, and the level of deposit you can afford to pay down. The lender will look at your ability to pay off the loan, rather than just your earnings. They will also want some insight into the nature of the work, i.e. are you a seasonal worker, contractor, or someone who runs their own business? Your credit score is an important part of the lender’s assessment, and while high street banks and mainstream lenders might run a mile from those with bad credit, there are a number of specialist lenders out there who are willing to consider self-employed mortgages with defaults, CCJs, debt management plans and IVAs. Many of these lenders will use underwriters rather than automated credit scoring systems to assess your application on an individual basis, and will carefully consider your personal circumstances before making a decision. We work with a network of independent mortgage advisors who know precisely where to look to find the best deal on a mortgage. So, even if you are self-employed and have an adverse credit rating, they may still be able to find the right deal for you. 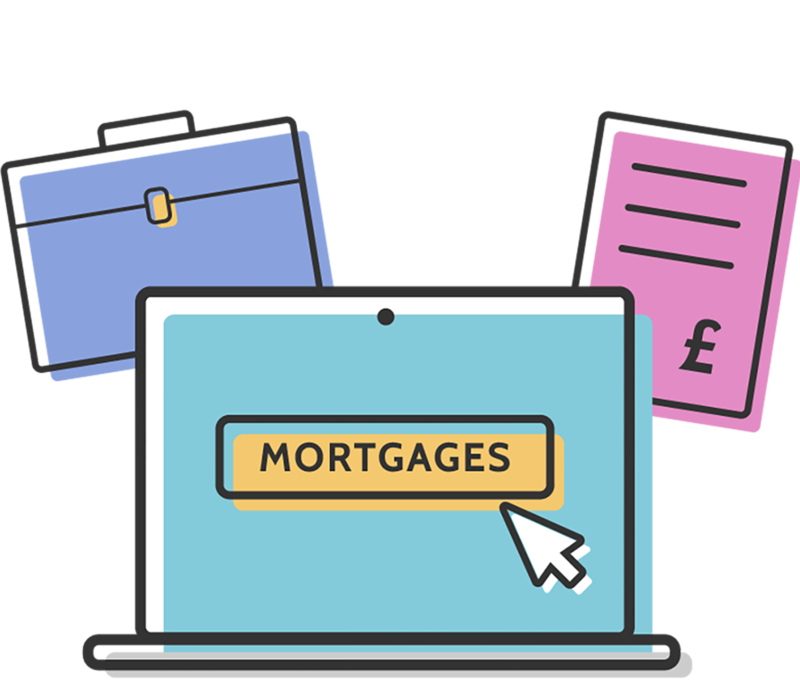 For a free, no-obligation initial consultation, please complete the enquiry form with some details about the self-employed mortgage deal you are looking for and one of our advisors will be in touch.